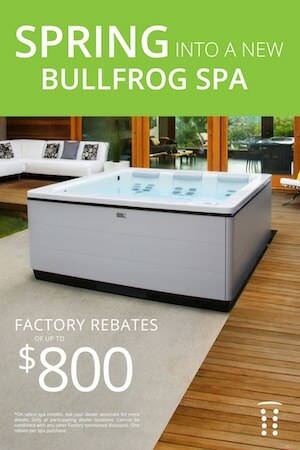 First of all buy a Bullfrog Spa:)! They are truly engineered to save money. Whether you have a Bullfrog Hot Tub or other conventional hot tub, here are a few energy saving practices. It’s actually quite easy to reduce the operating costs of your hot tub. Bullfrog Hot Spas are the only hot tubs that utilize a patented JetPak Therapy System. With this system 90% less plumbing is used, which means less energy used overall. 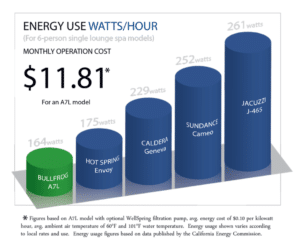 With a few other “good hot tub practices”, you can minimize the amount of energy used, saving you money. Heating and reheating the hot tub will contribute to majority of the expenses, and that’s what most of these tips will focus on reducing. A good spa cover can go a long way in reducing the heating costs of your hot tub. These tubs are well insulated from the sides, but majority of the heat leaks out from the top. So if your cover is worn out and old, you can expect to lose a lot of heat from the rims of the cover/tub, or the hinges on the cover. Even worse than a worn cover would be a water-logged cover, because its insulating ability will be next to nothing. So the bottom line is, check your cover and make sure it insulates well. If it’s worn out, invest in getting a new one with good insulating capabilities. Cool wind passing over the water in the hot tub is also a significant source of heat loss. Make sure your tub is surrounded by privacy screens, or shrubs, or any kind of protection which can break the wind. As a bonus, all of these will also get you some privacy when you’re enjoying a soak. The thermostat on your hot tub will have a certain maximum setting, usually at 104 degree F. Thing is, you actually don’t need to keep the setting at its highest to enjoy a great spa experience. You can turn down the thermostat a bit, to around 102 degree F, and still get a perfectly satisfying hot soak. While the temperature difference doesn’t seem like a lot, the energy consumption difference will be noticeable. During relatively warmer periods, if you don’t plan on using the hot tub for any significant stretch of time, you can and should turn down the thermostat to its lowest setting. If you’re not going to use it for a long time, you can even switch off the heater completely! However, keep in mind that this advice is not applicable during colder months. During winter or cool weather, it is recommended that you keep the thermostat at a high enough temperature so that the plumbing doesn’t get damaged. Off peak hours refers to the time of the day when most people generally won’t use as much electricity as they do throughout the rest of the day. Obviously, this is usually at night time. Since utility companies may not want too much stress on the grid all at once, they may discount the price for off peak electricity usage. If that is the case, you should try to heat the water during off peak hours as much as possible. Clogged and worn out filters are bad for the entire hot tub unit. A clogged filter places additional load on the pump, and also causes the heater in the tub to work less efficiently. Bullfrog recommends you clean your filter every 3-6 weeks, depending in the amount of use, and replace it every year or two, again depending on the amount if use. Have a question? 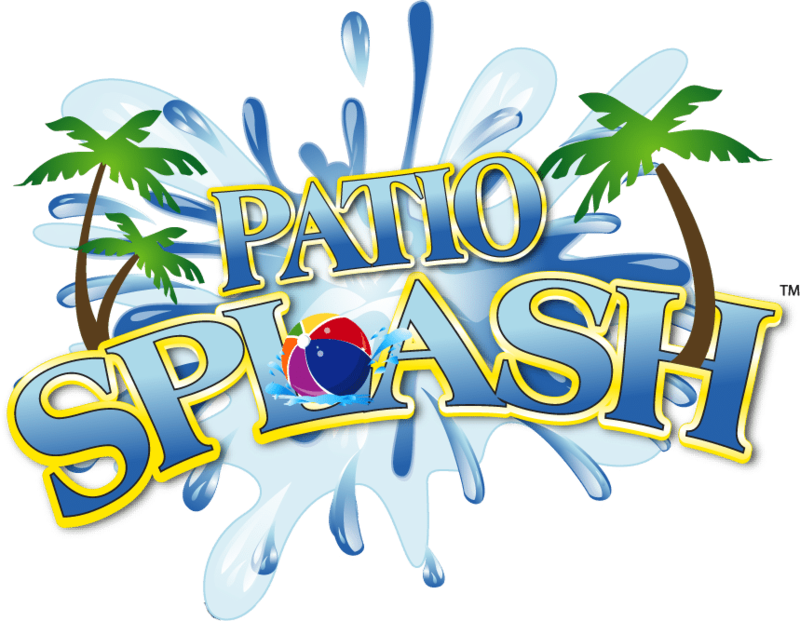 Patio Splash Hot Tub & Spas offers regular spa maintenance and can answer any questions you have!